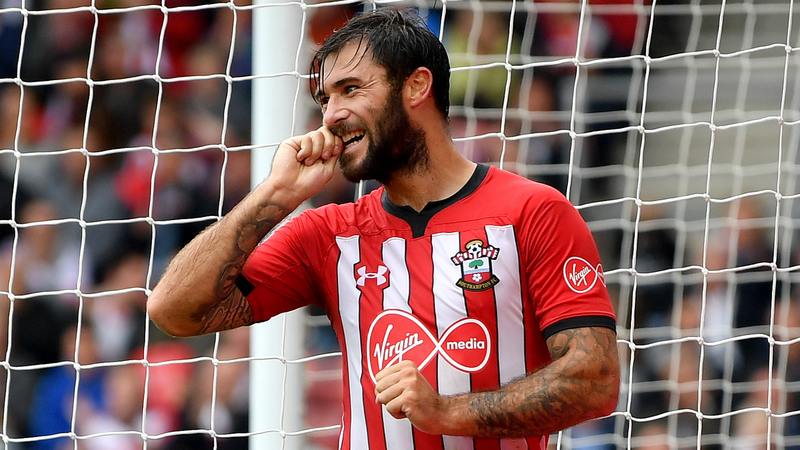 Charlie Austin has called for VAR in the Premier League after criticising the "ridiculous" officiating in Southampton's 1-1 draw with Watford. Saints went ahead early on through Manolo Gabbiadini, but Watford levelled through Jose Holebas in the second half to increase the pressure on manager Mark Hughes. Austin had been convinced he had secured the points prior to Holebas' equaliser, but the goal was disallowed for an offside infringement from Maya Yoshida, despite the Southampton defender having not touched the ball. And the striker hit out at the match officials after the match, insisting they need more assistance for such decisions. "It's ridiculous. Watford shouldn't be in the game. We scored a perfectly good goal that was ruled out for offside," an animated Austin told Sky Sports. "The officials cost us two points. They said it was offside; that is a joke. "People go on about VAR. They [the referees] clearly need help. If this is the best, most-watched league in the world then give them all the help they need. It is a joke. "Sure, there are many positives. We worked hard, we deserved three points and we would have got that had we not been let down by the official. "The performance was there, we can take that away and we should manage the game."